Does Your Mom Get Enough Vitamin D? Vitamin D and calcium are vital to bone health. If your mom isn’t getting enough, osteoporosis may occur. Osteoporosis is a leading reason bones fracture when an elderly person falls. 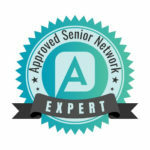 Here’s what you need to know about vitamin D.
Senior Care Rochester NY – Does Your Mom Get Enough Vitamin D? Vitamin D is a vitamin that isn’t found naturally in many foods, but you can produce it when you spend time in the sun. As many people are worried about skin cancer and spend little time in the sun, a lack of vitamin D is common. It’s important, however, because it helps the body absorb calcium. It plays an important role in bone health and can lower the risk of osteoporosis in seniors. It also helps with cell health, the immune system, and helps prevent inflammation throughout the body. The Food and Nutrition Board recommends that men and women between the ages of 51 and 70 get 15 micrograms of vitamin D each day. After the age of 70, increase the intake to 20 micrograms. Can You Get Enough Vitamin D From Supplements? 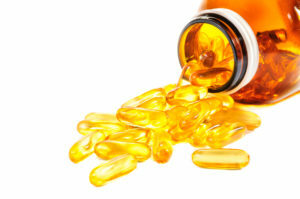 Doctors used to recommend vitamin D supplements to ensure enough vitamin D is in the diet. Opinions vary on the importance of supplements though. Newer studies find that it is helpful in some diseases like rickets, but supplements may not be enough to help with bone strength. They feel it’s better to spend time in the sun. You can also get it naturally in cod liver oil and fatty fish like swordfish and tuna. What’s very important is to talk to your mom’s doctor. Make sure she gets a bone density test done as often as her doctor suggests. If her bones are discovered to be thinning during these tests, take appropriate measures to check her home for fall risks and follow doctor’s guidelines for strengthening bones. Exercises that build muscle strength and balance and prescription medications are often recommended. Make sure your mom is eating a balanced diet that’s high in fiber, fresh vegetables, protein, and vitamin D. If she doesn’t like milk and dairy, breakfast cereals and many fruit juices, particularly orange juice, have enriched versions that contain vitamin D and calcium. If she struggles to prepare balanced meals on her own, look into home care. Senior care services cover everything from help with housework and laundry to grocery shopping and meal preparation. It can make a big difference in your mom’s life.